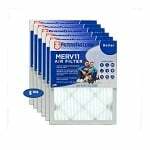 The FiltersFast A35PR Metal Humidifier Filter measures approximately 10" x 13 1/4" x 1 1/2". It efficiently traps mineral contaminants and pollutants within the water filter to provide clean, moist air. These humidifier water panel filters improve conditions caused by low humidity, which can lead to health and environmental problems in your home. 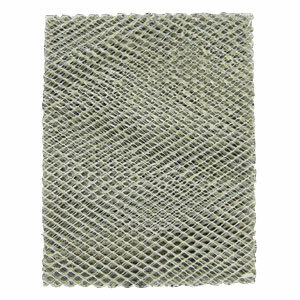 This humidifier evaporator pad is also available in the paper version, AprilAire 600 Humidifier Water Panel Evaporator. For optimum performance, the FiltersFast A35PR Metal Humidifier Filter filter should be replaced every six months, or more often in hard water areas.